Christine Mavilia is Chief Human Resources Officer of Shields Health Care Group. She plays a major role in the company’s overall performance, leading strategic initiatives surrounding talent recruitment, employee benefits and compensation and learning and development. 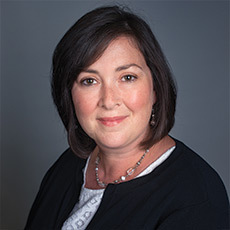 Christine joined Shields in 2001 and developed her role in human resources throughout organizational transformations, leveraging her experience in leadership development and talent acquisition. Prior to Shields she worked in human resources at Harvard Law School. Christine is a Six Sigma Black Belt and PHR certified. In 2005, she received Shields Employee of the Year award and in 2013, the Shields Founder’s Award, both in recognition of her dedication, vision & leadership. Christine is involved in her community focusing on youth programs, currently serving on the YMCA East Bridgewater Finance Committee and coaching various youth sports teams. Christine earned a bachelor of science in business management from Lesley University. In her free time she enjoys reading, the outdoors and spending time with her family.